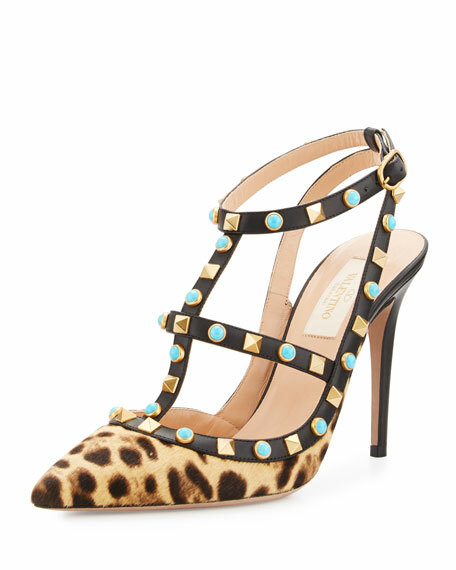 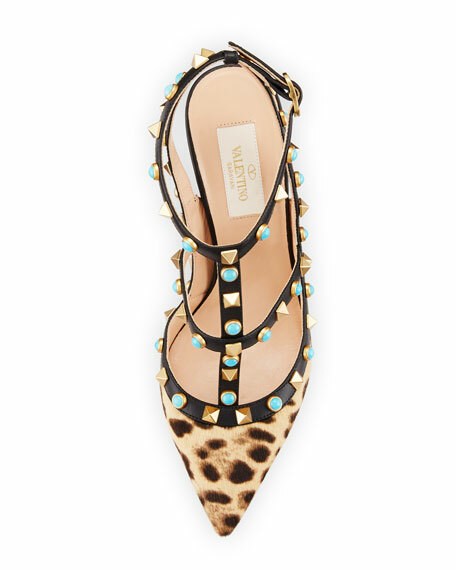 Valentino Garavani leopard-print dyed calf-hair (New Zealand) pump. 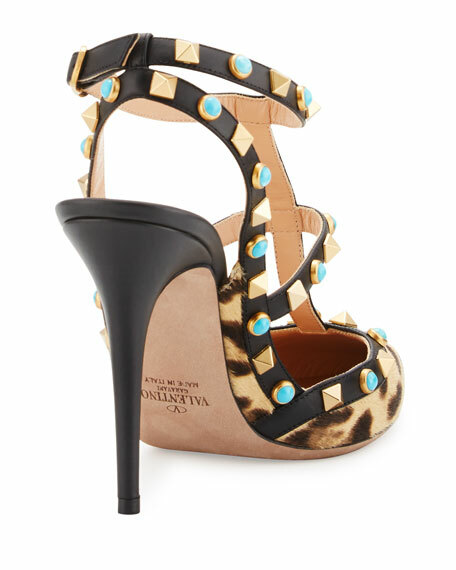 Signature Rockstud and cabochon studded leather trim. 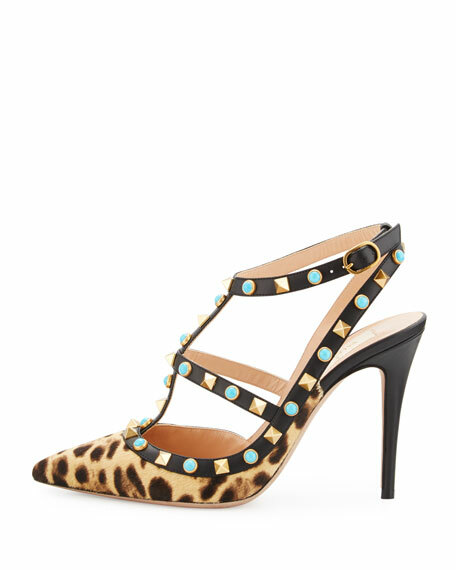 For in-store inquiries, use sku #1793204.